Our beautiful girls Darcie and Evie came into the world 12 weeks early after a fairly uneventful pregnancy (If you can say being told you’re having twins is uneventful!!) weighing only 2lb10oz and 2lb 2oz. Once born they were taken from us without so much as a cuddle, wrapped in foil and rushed directly to the special care unit where they stayed for 2 weeks. During this time they were ventilated and given constant care from doctors, nurses and ourselves. Feeding was through a tube and even the most simple of tasks like changing a nappy was an ordeal. After lots of disturbed nights of expressing milk (from Natalie of course!) and the life changing uncertainty of what was happening they eventually made their way through the ranks of special care to the stage of being transferred back to Warrington Hospital. Back at our local hospital they stayed for 8 weeks in special care where we faced the first of many health challenges which were both heartbreaking and unbelievably sad. Looking back now we would face them every day if to only make our beautiful girls better. 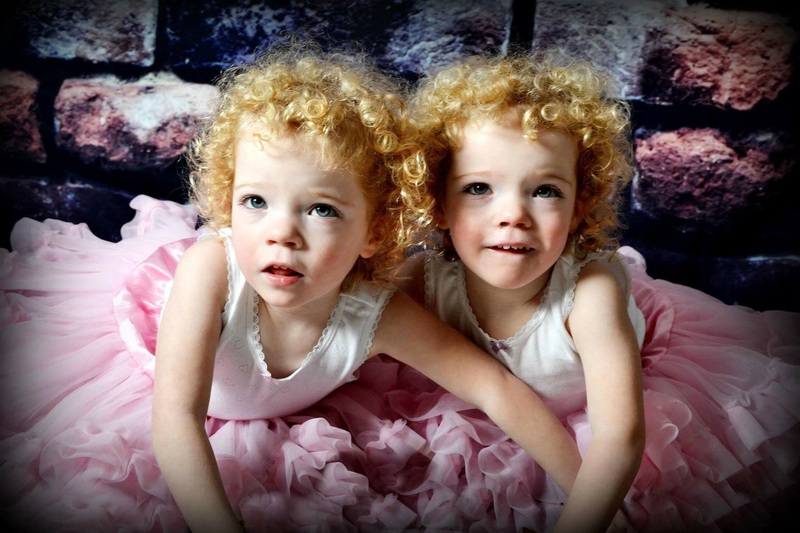 Both Darcie and Evie had health problems including jaundice, heart murmurs, feeding issues, blood transfusions and Evie a bleed on the brain. What we didn’t realise was that this was only the beginning. We were elated the day the girls came out of hospital and had been willing this day to come from the moment they were born. Two weeks before their original due date which was the beginning of December, what we had been hoping and praying for finally came and the girls were allowed home. 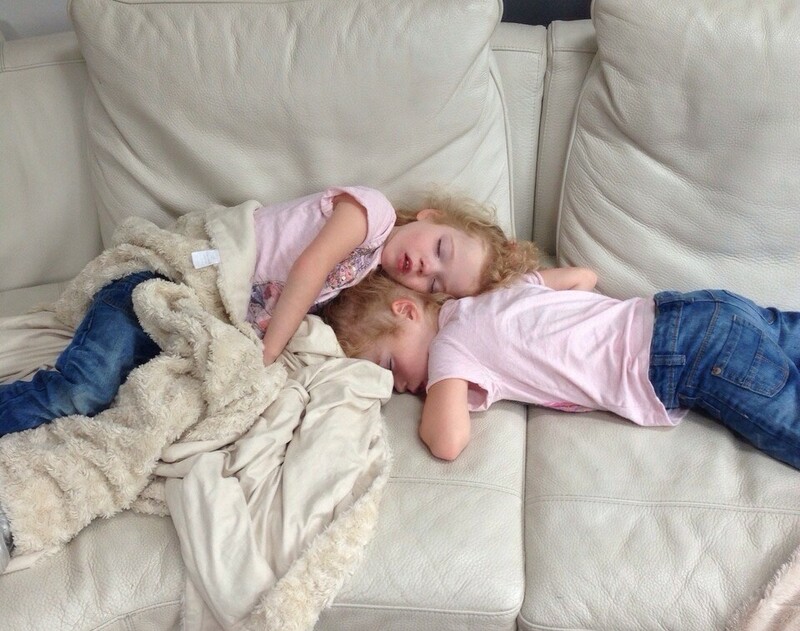 I can still remember that day as if it was yesterday, shaking as I made my way in to the hospital, wrapping them in their oversized winter clothing and fastening them so tightly in their car seats, nothing else mattered but the safety of Darcie and Evie. I even remember the cautious drive home and how scared we both were leaving the safety net of the hospital. Now at home, our lives were complete. Once we had settled back into life the best we could with the twins at home we decided to arrange a much needed break at my sister’s apartment in Spain. We packed what felt like everything but the kitchen sink and arrived in Spain looking forward to our first holiday as a family. On Monday 6th June 2011 we woke, had breakfast and enjoyed the sunshine by the pool, at lunch we made our way to the apartment to get the girls out of the midday sun. At the time Natalie was alone with the girls while I went back down to the pool to collect the bags, when I heard Natalie shouting from the balcony. Natalie was screaming out my name saying the Darcie was having a fit. I dropped what I was carrying and ran upstairs, I could see Natalie holding onto Darcie who was clearly having a convulsion. Both her arms and legs were twitching and her eyes were fixed, looking to one side. We franticly shouted for help and for someone to call the emergency services, eventually we managed to contact reception who said that they would phone for an ambulance and that we should make our way there. Evie, unaware of what was happening to her sister, stayed with one of our friends as we headed to the reception with Darcie who was at the time, still having a seizure. After an hour or so, the ambulance arrived and took us to the local hospital. At this point Darcie was exhausted and had a temperature of nearly 40 degrees so we couldn’t believe it when we were told to wait in a room at the hospital. Translating our problem to the doctors was a frustrating and time consuming task as no one spoke English and we little Spanish. Eventually the situation was resolved and Darcie was given medication to bring her temperature down. The medical staff believed the seizure was a Febrile Convulsion due to Darcie having a cold coupled with a high temperature and the Spanish heat. After a time we were allowed back to the apartment where we spent the rest of our holiday watching both Darcie and Evie like a hawk, anxiously wondering whether to try and catch an early flight home. We arrived home and immediately arranged a visit to the doctors who also put the seizure down to a febrile convulsion. We were told that this can occur at any time during infancy as some children’s’ seizure threshold is lower than others. From then on we were always looking out for signs of further seizures and remained constantly on tenterhooks. All we wanted to try and do was put it to the back of our minds, hoping beyond hope that it was an isolated incident and the doctors were correct. During the following month after a bath Darcie had a second convulsion and Evie, not wanting to be outdone by her sister, followed suit. From this time onwards the girls had, and still continue to have many different types of seizures. Full tonic clonic seizures (both arms and legs jerking), partial seizures (1 arm and 1 leg jerking) and absences (staring episodes). During all episodes the brain shuts down, they struggle to breath and development is delayed. Our life from this point on changed. Yes our beautiful, precious girls were still happy and smiling but both Natalie and I were so scared and upset not knowing what the future held for our family. During the next few months we spent in a living hell. The epilepsy nurses at Warrington referred us to Alder Hay Hospital where the girls underwent tests to diagnose their condition. It was confirmed that they had epilepsy but it wasn’t as simple as that. They were also diagnosed with a devastating genetic condition known as Dravet Syndrome. The syndrome is a very rare neurological disorder beginning in infancy, it is characterised by severe, difficult to control seizures. The condition delays learning development, causes communication difficulties, ataxia and autism. At present there are approximately 300 people within the UK diagnosed with Dravet Syndrome, we are the only family known to have a set of twins diagnosed. Both Darcie and Evie are given medication five times a day including, Sodium Valporate, Clobizam and a new drug by the name of Stiripentol. At any given time during the seizures either Darcie or Evie could pass away due to unexplained death associated with the syndrome. It is hard to put into words how this feels. If you have children, or loved ones, imagine that at any time there is a real possibility that they could die. Imagine that when I leave for work this could be the last time I see them. Imagine that if I close my eyes and go to sleep, will I wake up without them? As the syndrome is a newly discovered condition, the doctors we speak to can’t give many answers or a future prognosis. Our lives fell apart when they told us and the past year has been so hard on everyone, at times we felt and still feel as though our lives are over. No longer could we just put them in a pram and walk to the shop without packing medication. Watching them constantly whilst out to see if we could see the beginnings of a seizure. We didn’t leave the comfort blanket of our home for some time. Even now we find it difficult to do normal things such as taking Darcie and Evie to a play centre or letting grandparents take them for a walk. Everyone is frightened because of the risks posed. We have what is known as rescue medication for both Darcie and Evie in the form of rectal Diazepam which is given if a seizure lasts for more than 10 minutes. There are however huge consequences to giving the medication as it has previously stopped Darcie from breathing. Following a seizure where rescue medication is given they become heavily sedated and constant care is required as they can no longer control their own body. Where the seizure lasts for a number of minutes but rescue medication is not required, the limb that has been affected suffers paralysis for anything up to an hour afterwards. This medication is required to be taken wherever we go. It is not n ice when you are out having a walk in the park or a family meal and needing to find a secluded area or leave the room to administer the medication, along with worrying if you need to call for an ambulance. Presently we live with a constant fear wondering if Darcie and Evie will wake in a morning. What does the future hold for our family? Will the girls go to a mainstream school? Will they be able to walk? Will they be able to speak? Will they need our help for the rest of their or our lives? Who will care for them in years to come? Will we out live our two gorgeous girls? We cannot leave the girls with anyone for any long period due to the high level of responsibility that goes with it. Hopefully in time we can adjust and yes, life will be different for us to that of most people. Despite this it will still be our life and Darcie and Evie are our amazing, brave, beautiful, little girls. On 10th December 2015, at the young age of 5, precious princess Darcie Rose fell asleep for the last time. Dravet Syndrome has given another, their angel wings. Darcie was a beautiful and courageous little girl, who despite her condition was always smiling. Natalie, Mark, Evie and all their family and friends are devastated. Darcie has left a huge hole in the lives of everyone she met. Therefore we must continue the fight to raise awareness of this catastrophic condition and to raise much needed funds for the beautiful Evie Chapman and other Dravet families. Darcie will never be forgotten and remains at the heart of Rose Blossom trust. Fundraising activities will continue to help Evie Chapman and in memory of Darcie Chapman.